As some of you may know, I love backbends. Backbends are sometimes called “heart openers” in yoga-lect. They offer a massive expansive space to the front chest, deep extension through the spine, and a display of our hearts being wide open. When I practice backbends, I feel liberated, sometimes like a superhero. I get a burst of energy. I feel physically stimulated and available from inside out, bubbled up with joy, and capable of moving and standing from my center. When the backbend is done, there is still a lingering resonance that lives in the body. A subtle stimulation, buzz, and sensation that I pronounce as feeling vibrant and alive. I am not sure I can accurately give it a name or words, but if it could speak it would be like saying a giant “yes” to all that is. Many times I have let that “yoga-buzz” wash away the moment I am tested. The tests themselves will differ for us all, but to admit we have triggers is key. This morning it was my toddler demanding with his fist on the counter for more sugar in oatmeal. Yesterday it was miscommunication that led to feeling disrespected and not seen. Last week it was stepping into the mundane task of writing bills and feeling lifeless. As Byron Katie states, “it is in the mundane where transformation begins.” It is in the every day moments of being where the practice of open hearted-ness is really begging to be practiced. It is in the moments we are tested in values, beliefs, and patience that really show our true colors. Can we stand in the fire and still remember Grace, ease, and peace. Not too long ago I was in a workshop with Karen Kenney (a Goddess, storyteller, spiritual leader, and more), and she so brilliantly stated, I know plenty of people with bendy spines who are still mean (she actually used a word with a bit more of a punch here). 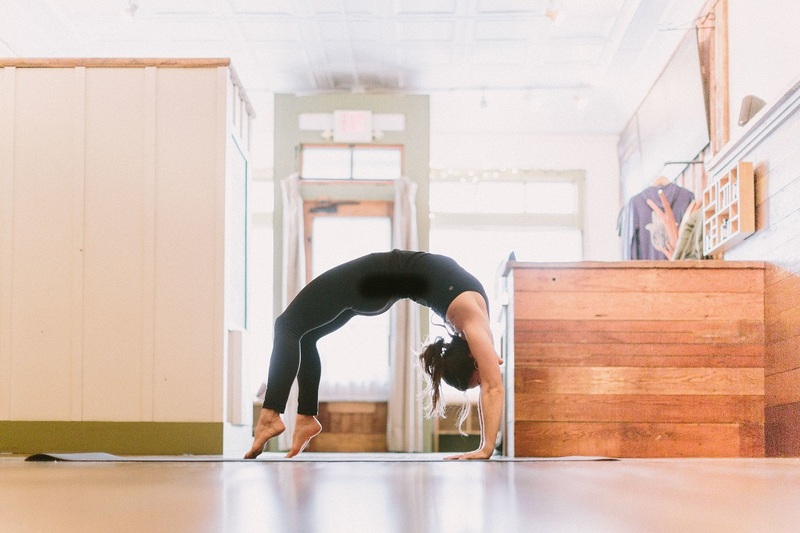 The point being, a chest opener, or backbend on your mat doesn’t necessarily open your heart. A heart opener is being able to walk through life allowing yourself to stay available and living from your place of love and compassion, for both yourself and others. This time of the year can bring up a lot of feelings of stress, overwhelm, overstimulation, and disconnection. Feelings of lack – be it lack of time, money, connection, sunshine, or willpower. If we allow these feelings, thoughts, and beliefs to be true, we start to live from a place of fear and dis-ease. There is another way. We can choose to remember our greatest purpose, we can choose to prioritize ourselves and each other as sacred beings. We can remember we are all whole, enough, and beings of love. The beautiful light, Pixie Lighthorse, reminds us that when we are pushed to our edge, the best way to land back into open-heartedness is to remember…. It is crucial when we are in the pressure cooker of life to slow down, allow for an unraveling, listen, feel, and sink deeper into our known sense of love. I say keep doing backbends if that makes you feel amazing and alive in being. But can we collectively commit to opening our hearts together as parents, lovers, friends, neighbors, communities, and countries? Can our practices on our mats be carried with us in seeking feelings of flow, allowing, trusting, and deep respect? Are you treating yourself and others as sacred? If the best gift we can offer ourselves and our world is LOVE… how lucky are we?! We all already have it. Can we more willingly be able to give it to ourselves and others? May we let down our guards, our egos, our swords and offer up compassion and love this holiday season. To your radiant open heart…I bow and thank you all for practicing.